-from the Naradiya Samhita (pre-12th century), one of Krishnamacharya’s stated sources for his revival of Tantric Āsana Vinyasa.Join Petros, Jivamukti Senior Teacher, for “FREE YOUR SOUL“, a 3-Part Masterclass Series, where you will embark on a journey of pranic experience as practiced and taught for thousands of years. There is a deep yearning of the soul to emancipate from the bonds of the material world. We feel this through, physical, emotional, and energetical imbalance and friction. The practice of yoga uses the life force (Prana, physical & mental) to shift those energies to support an awareness of space and freedom that arises when our life is not a mere affirmation of some conditioning but a gentle realization of possible freedom. Masterclass One – CONQUER YOUR FEAR, 07/12, 8 – 10pm – Increase your physical awareness by exploring practices and approaches focusing on the physical body, so that you can gracefully conquer your own fear. Masterclass Two – THE SOUND BODY, 08/12, 5 – 7:30pm – Explore harmony as the most natural experience through a masterclass focused on practices to fine tune the Pranic Body. 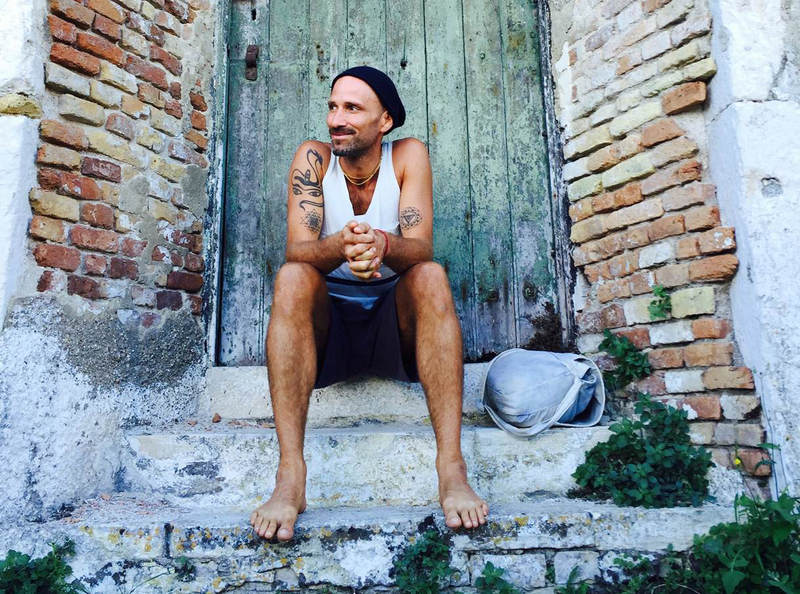 Petros lives in Munich, Germany and was one of the first Jivamukti teachers to be “Advanced Certified” directly from his teachers Sharon Gannon and David Life. Born into a family of artists and musicians he is a dedicated life long student of arts and music and plays a variety of instruments. He is a regular guest teacher in many yoga- schools around the world and has taught at many international conferences and festivals teaching workshops and classes on asana, pranayama, nadam and philosophy, plays kirtan-concerts. His students say, they feel inspired by the joyful and both, authentically deep and light teachings. Summers he spends mainly in his renowned yoga-retreat center “kretashala” located at the southwest-coast on the island of Crete. He has performed in countless concerts and festivals and has published several albums, amongst the most recent “embrace” in 2009, “narayana” in 2012 and “kali” in 2013.Petro’s honest, funny and challenging teaching inspires to be fully aware in and present in the moment. We really are free, wild, full of love and joy – without conditioning, without fear. He has great gratitude for all teachers, known and unknown, he had the honour to study with and is thankful to all circumstance that give us the chance to experience this feeling of unity, of non-separateness. To learn to accept the greatest teachers: our life.